What do The Grateful Dead, the art of wine blending, and supporting military families and veterans have in common? Read on to find out more about this brand new blend of Syrah, Merlot, Petite Sirah and Zinfandelcreated to support military families and veterans, plus a thoroughly enjoyable interview with Murphy-Goode winemaker Dave Ready Jr.
And while 50 cents may not seem like much, unlike many other charity efforts the donation from Murphy-Goode isn’t capped at $50,000 or even $100,000 dollars. With a one-time production run of 54,000 cases (that they hope to repeat next year), we’re talking about a donation of over $300,000. This is no small commitment — that kind volume makes the Homefront Red one of the top wines Murphy-Goode produces and accounts for a substantial amount of their total production for the year. Even more impressive when you realize Murphy-Goode won’t make any profit themselves from this wine. Of course some things are more important than making money and supporting military families and wounded vets is right near the top of that list. Operation Homefront is right on the frontline in this important fight, helping 180,000 military families in 2012 alone. 99% of their assistance is made to E1-E6, the lowest ranking, lowest paid enlisted soldiers. So what would compel Murphy-Goode to undertake this effort? For winemaker Dave Ready Jr. this was a cause that was close to home with a father who served in Vietnam, two grandfathers in WWII and a great-grandfather in WWI. Of course after hearing a little bit about Ready’s background the bigger question might be how a one time musician and wannabe rock star who saw 175 Grateful Dead shows in the late 80’s (168 sober) and at one point went on tour with Weird Al Yankovic as a backup dancer ended up as a winemaker. 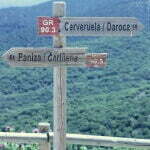 The answer to that question seems to boil down to an attraction to the creative process that is inherent in winemaking. 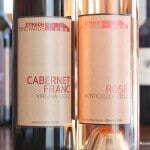 Ready’s philosophy when it comes to blending wines like the Homefront Red is a good example. It all begins with a simple question: “Where do I want to be drinking a wine?” (Outside at dusk for the Homefront Red.) 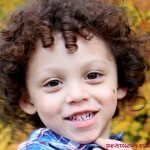 With that answered, he then formulates a plan based on his 24 years of experience. The actual blending is usually done within a day because “if I can’t do it in a day, I’m forcing it”. 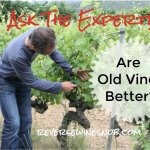 For Ready, winemaking is an art: “You use science when you get in trouble”. Today’s wine, the Homefront Red, came together very easily for Ready, being predominantly Syrah based (for texture) with Zinfandel added for spice and Petite Sirah giving structure. About 75% of the wine spent roughly a year in barrel. 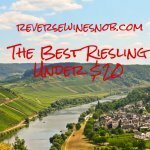 The wine has an SRP of $15 and should be widely available for around $12. Sample submitted for review. “Murphy-Goode Winery is committed to quality winemaking and having fun. We also believe in giving back, and that’s why we’ve crafted Homefront Red. A portion of the proceeds from every bottle sold will go to Operation Homefront, a national nonprofit that provides emergency and financial assistance to the families of service members and wounded warriors. 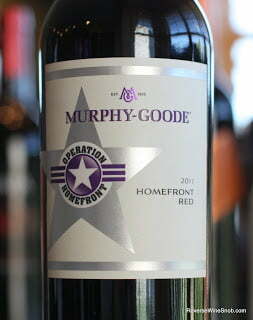 The 2011 Murphy-Goode Homefront Red begins with a very pleasant aroma featuring lots of vanilla and other oaky notes plus plenty of dark fruit. There’s also a little peppery spice and hint of mint. The wine tastes very smooth and just like the nose there’s plenty of vanilla and sweet blackberry along with notes of black cherry, black raspberry and spice. 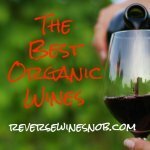 With soft tannins, this easy to drink wine should have really wide appeal. It ends with good length. I’d classify this wine as a very nice step up in quality versus a blend like the popular Apothic Red. However, unlike the Apothic Red this wine won’t be available for very long as Murphy-Goode has already shipped its entire supply and is estimating it will be completely gone from store shelves sometime in December. In other words — if you see it, stock up!